Large Luxurious Townhouse Condominium. 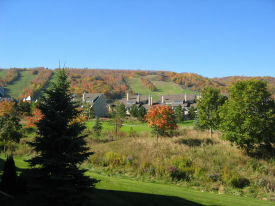 Gorgeous, unobstructed, panoramic views of the mountain. No need to drive anywhere / village is a couple steps away. 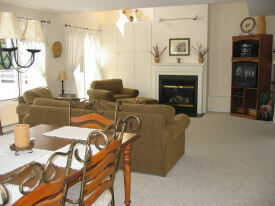 Private, spotless, fully equipped and professionally decorated 3 bedroom / 3 bathroom 1700 sq. ft townhouse located on first fairway of Monterra golf course. Private parking at the door. Includes: top quality queen size mattresses (3) and furnishing, futon in loft area, 6 appliances, stereo/CD player, VCR, DVD, cable, gas BBQ, gas fireplace, air conditioning, keyless entry, central vac, cathedral ceiling, etc. No pets, no smoking.